Lovely evergreen, alpine Daphne (D. jasminea x D. petraea grandiflora). 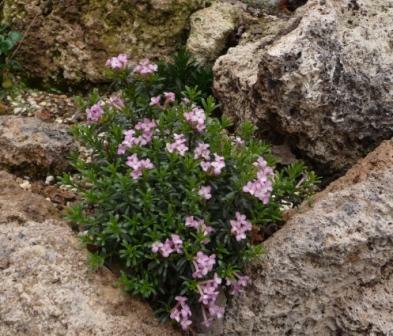 Very compact growth with lovely clear pink scented flowers in early summer. Well drained position.